Energy demand in the United States is expected to continue to grow over the coming decades, and the Department of Energy (DOE) considers nuclear energy to be one way to help meet this increased demand without producing air pollution. However, the current domestic commercial nuclear reactor fleet, consisting of 99 large light water reactors (LWRs) that provide about 20 percent of U.S. electricity is aging, and some reactors have shut down in recent years. LWRs use light, or ordinary, water to cool the reactor. New reactor concepts are under development as alternative energy options. Light water small modular reactors (SMRs) have some similarities, including the coolant used, to the existing large LWRs, and advanced reactors differ more from the large LWRs. Both new reactor concepts differ from the existing large LWRs in potential applications. 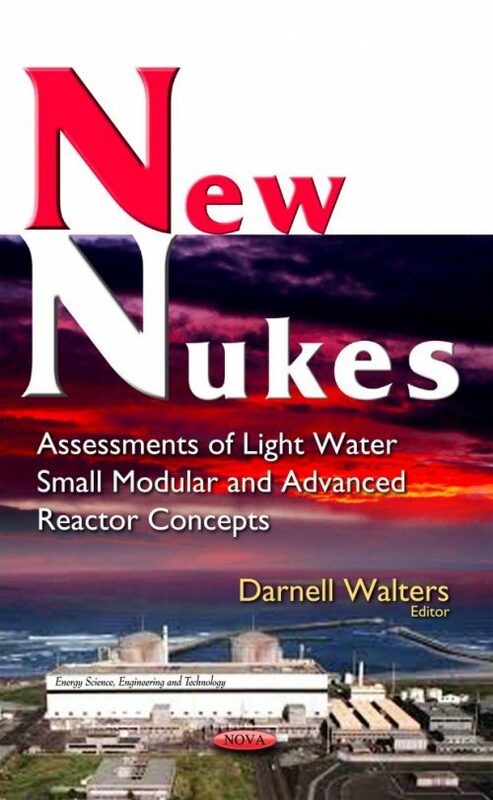 This book discusses the status of light water SMR and advanced reactor concepts under development; the intended benefits of these new reactor concepts; and the challenges associated with developing and deploying these new types of reactors. Furthermore, the book describes DOE’s Office of Nuclear Energy’s (NE) approach to advanced nuclear reactor research and development (R&D) and examines how NE plans and prioritizes its advanced reactor R&D activities, including deploying an advanced reactor.